First Hard Freeze of the Season Likely Next Week! Duration: The watch is in effect from 12AM Monday October 9 through 6PM Monday October 9. A watch means these conditions are possible, stay tuned to us or your favorite reliable weather source for updates on Winter Weather Alerts! in place and all ready to go. Drain outdoor sprinkler systems to protect them from the well below freezing temperatures expected by Monday night. 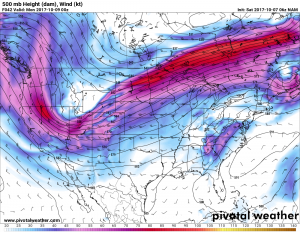 A strong storm system and associated cold front is expected to begin impacting the area late Sunday night and into Monday morning. The storm will begin affecting Colorado late Sunday and into Monday. Snow should be ongoing Monday morning and afternoon. 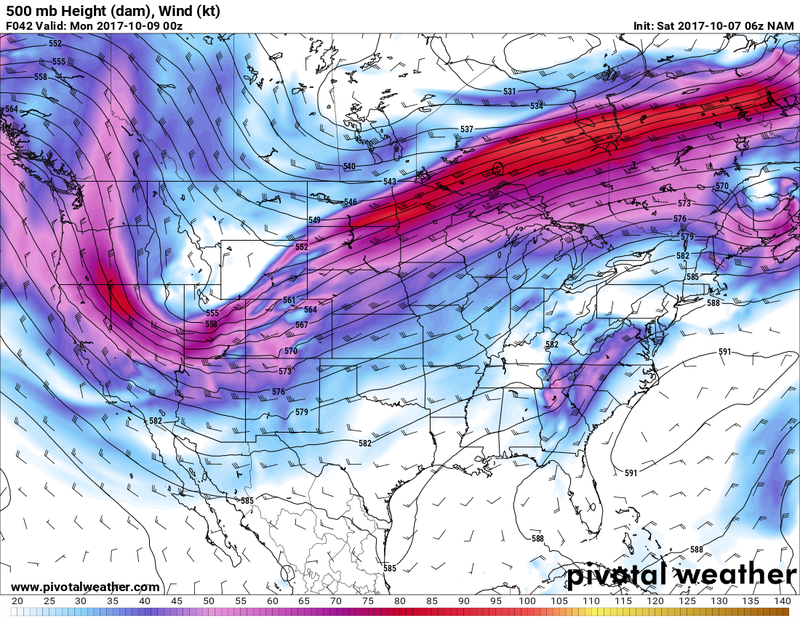 Notice with the 500mb analysis above (the mid levels of the atmosphere) the trough or kink in the jet stream can be seen. 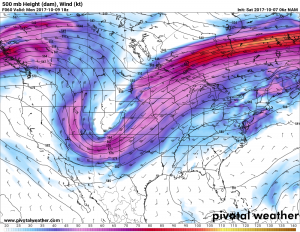 The more pronounced the trough the more energy and cold air associated with this storm. Simply put, this storm has some kick to it… but it won’t be a “city-crippling blizzard” variety. That being said, the combination of wind, moderate to sometimes heavy snow and icy conditions have the potential to make Monday morning’s travel quite the headache… so keep that in mind! The NAM model above has been pretty consistent on these snowfall numbers for a day or two now. 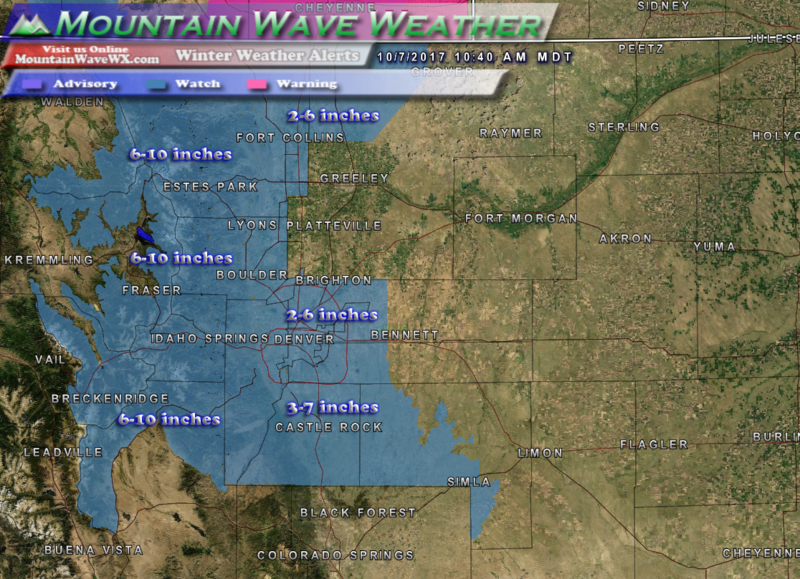 Generally expect 3-4 inches in and around Denver, 5-6 in and around Castle Rock and 6+ in the mountains and foothills. The SREF ensembles above are pretty well in agreement with the NAM and to some extent the GFS. It shows a mean accumulation of 5.92 inches at the Centennial station. 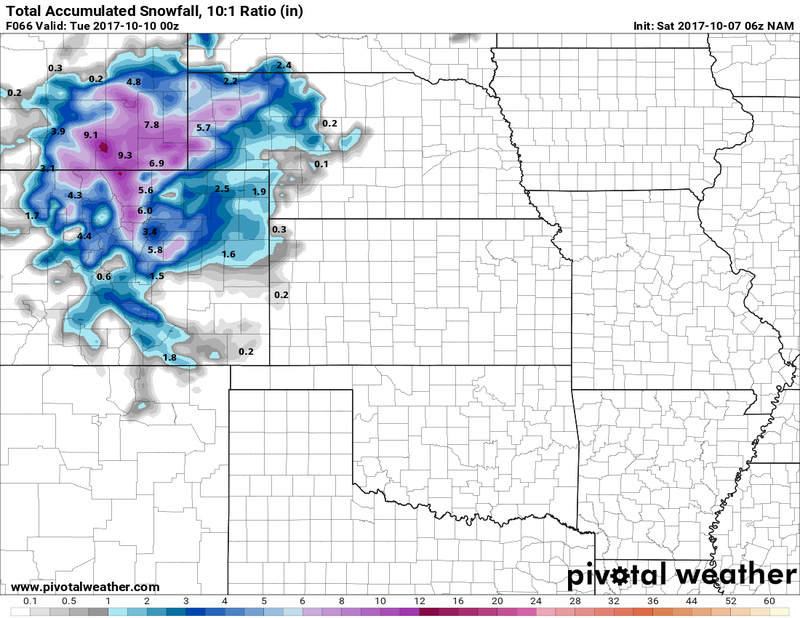 It is possible higher elevation areas such as Castle Rock may see just slightly more than that and of course a lot of snowfall accumulations will be quite localized due to elevation and wind. The models above are in relatively good agreement on this storm but temperatures will play a big part in this. Like so many storms, we could bust low if temperatures don’t cool quickly enough or bust high if they get cool quicker than anticipated. As always, our forecast here takes in many more variables than just weather models hence why we’ve arrived at a 3-7 inch range for Castle Rock. Stay tuned and we will update with any additional informational this storm system evolves. Probably our next update will be late Saturday or early Sunday morning with updates coming fast and furious through the day Sunday. Until then, enjoy the wonderful “calm before the storm” with great weather on Saturday! 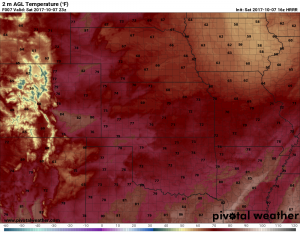 Still dreaming of summer?Highs on Saturday will be comfy in the mid to upper 70’s along most of the front range! Enjoy!